I am a cyclist in Toronto, and I find it quite frightening at times with all the traffic. 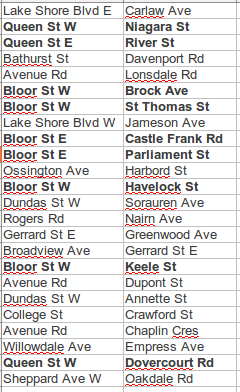 I hear a lot about cycle accidents in and around the city, and as a data nerd I was happy to find that the Toronto Traffic Safety Unit has been collecting GPS tagged data on where bicycle accidents have been occurring throughout the city. 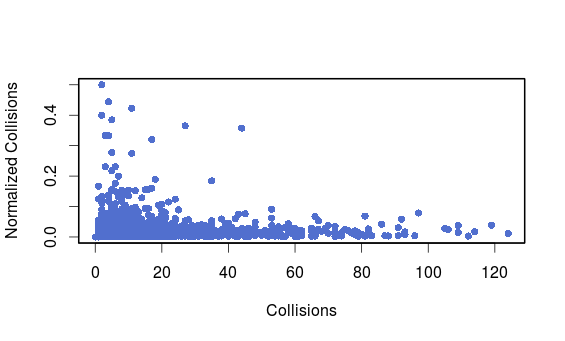 This is only the reported subset of all the accidents, but it represents about 31000 collisions. 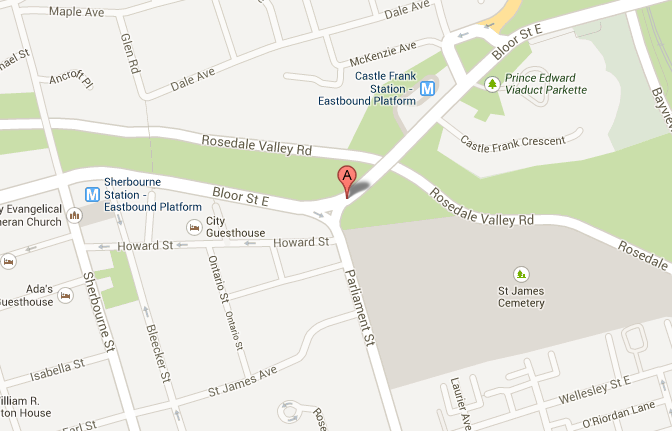 Here I am using that data to try and determine where the most dangerous cycle intersections in Toronto are. What I did it to use the GPS coordinates recorded for the accidents to map them to their closest intersection. 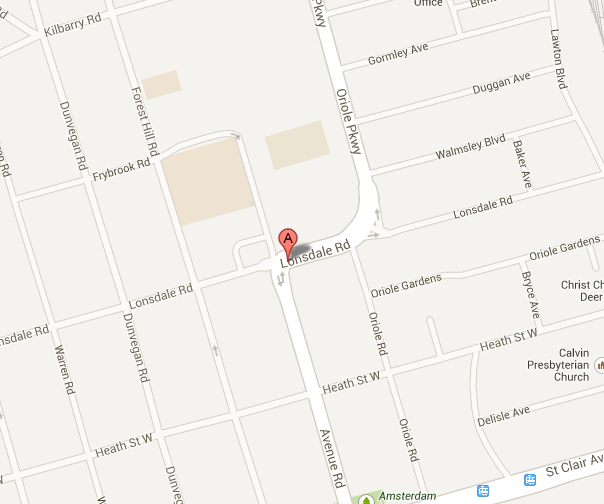 The measurement for each intersection contains accidents at that intersection as well as on the street nearby. 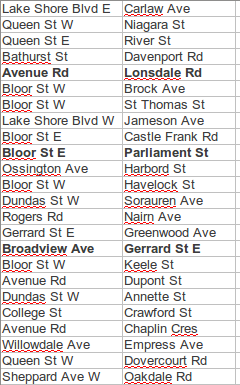 Since the intersections with the highest number of accidents are just those with the highest amount of traffic I normalized with traffic data from the Toronto Traffic Safety Unit. 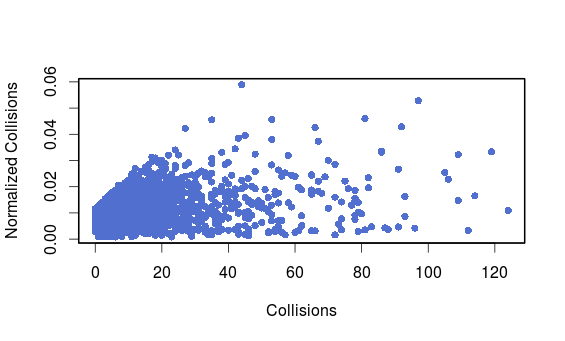 In doing so we run into a well known statistical phenomenon which is that intersections with the smallest number of accidents dominate, because of the noise in the observation. In order to deal with this we can use Bayesian statistics; I’m putting a prior on what we think the observation should be we can prevent the noise in small sample size intersections from dominating. I’m using a technique called Empirical Bayesian analysis which calculates a prior from the average of all the intersections in the dataset. What do we end up with after doing this? The following is a list of the most dangerous intersections we recover with this technique. 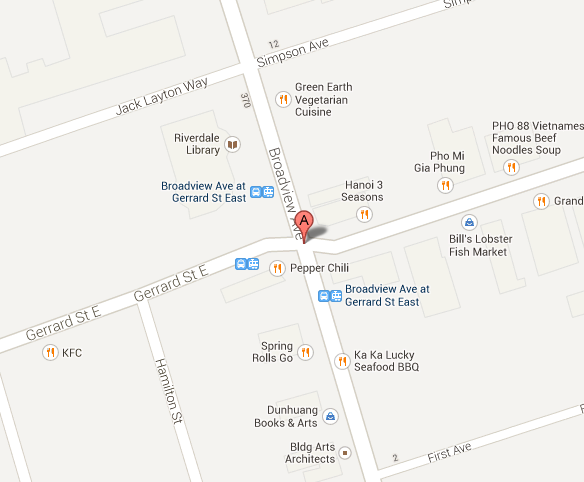 Many of the intersections we see are on Bloor or Queen which are significant on the routes that do not have bike lanes. All of these intersections are not straight. Stay safe, here’s a list of the top 50 most dangerous intersections that I determined using this method. As requested, a complete List. I am currently a PhD student studying genomics at the University of Toronto.